Real time mobile & web analytics, crash reporting and push notifications platform. Modern, enterprise-ready business intelligence web application. Simple Dashboarding and GUI Query tool, Nightly Emails and Slack Integration w/ PostgreSQL, MySQL, Redshift and other DBs. Leading open-source analytics platform that gives you more than just powerful analytics. 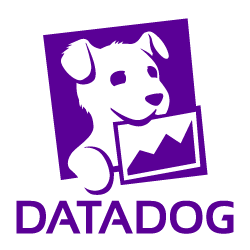 A distributed, column-oriented, real-time analytics data store. Real-time web log analyzer and interactive viewer that runs in a terminal. Have every single event, from your websites, mobile apps, desktop applications and server-side systems, stored in your own data warehouse and available to action in real-time. Insights into your social networking activity on Twitter, Facebook, Instagram, and beyond. Google Analytics and Piwik alternative. Serposcope is a free and open-source rank tracker to monitor websites ranking in Google and improve your SEO performances. Generates web, streaming, ftp or mail server statistics graphically. Detailed analytics and reporting for your Mailgun transactional emails. Leading open-source analytics platform that gives you more than just powerful analytics, formerly known as Piwik. Hackable time series pattern recognition tool with UI for Grafana. Fast web server log file analysis. Do you think we are missing an alternative of Countly or a related project? There are no recommendations yet. Be the first to promote Countly! Have you used Countly? Share your experience. Write a short recommendation and Countly, you and your project will be promoted on Awesome Self Hosted. Do you know of a usefull tutorial, book or news relevant to Countly?